If you're an iPhone user, this receiver gives you more than wireless control -- you get voice control. Talk to Siri to make calls, choose music, get directions, and more. Anything you can do with Siri can be done with this receiver. With your smartphone connected to the KD-X320BT, you can listen to your phone's internal memory as one source and access its microSD card as another. You can also pair two phones at once, so you don't have to choose between the personal phone and the work phone again. The KD-X320BT has the connections you'll need if you're planning to build a complete car audio system. When it's time to add a powered sub, you can switch the rear preamp outputs over to subwoofer mode to control your bass from the receiver. USB Audio for iPod/iPhone etc. 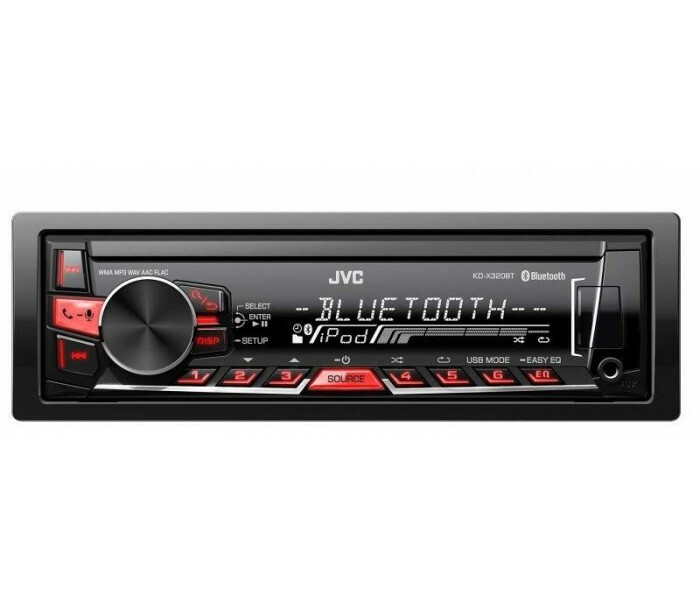 The JVC KD-R852BT features a front mounted USB port that.. 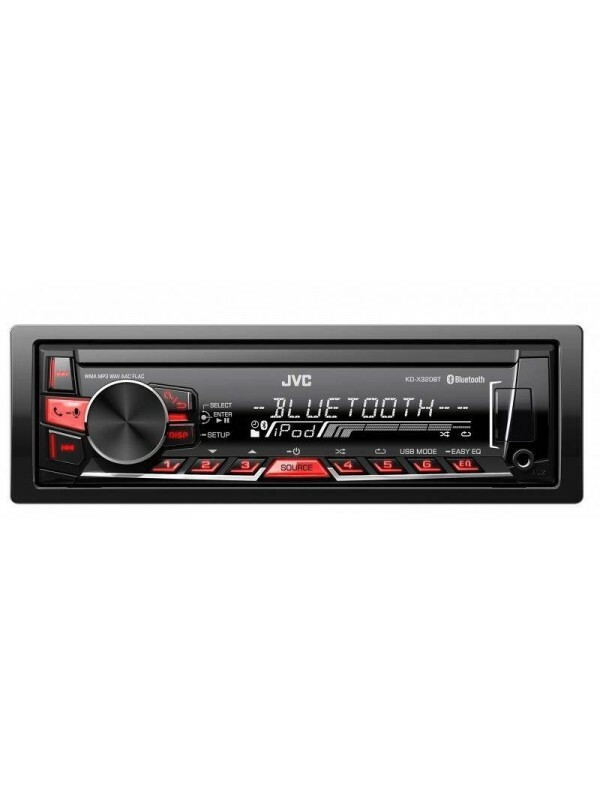 The JVC KD-R851BT Car Stereo lets your music take centre..